The word Qur’an means ‘reading’, and it is an universal book of guidance for the whole of mankind. The Qur’an consists of 114 chapters (suras). Each chapter (sura) is divided into a number of verses (ayats, see note 1). The first sura has seven verses and is the key to the Qur’an. The longest sura is the second sura. It has 286 verses and can be regarded as the summary of the Qur’an. The Qur’an is not simply a book of religion in the conventional sense of the word ‘religion’. But it is also the Book of ‘Nature’ to guide mankind to the way we must live on this planet with the least possible conflict, i.e. with balance and harmony. The Qur’an was sent down as a revelation to the Prophet Muhammad (pbuh) through Gabriel (Jibreel). It was written down and compiled in the form of a book by the prophet during his lifetime without any alteration and the book (Al-Kitab) remains unspoilt since that time. As an additional safeguard it was also memorised by many people during the prophet’s lifetime. The Qur’an asserts very clearly that it is the Word of Allah and not the word of the prophet. The prophet’s position vis-à-vis the Qur’an is that the Word of Allah was uttered by the prophet when he was inspired with the revelation. So, in effect the Qur’an becomes the utterance of the prophet. Therefore, in this case only, one cannot make a distinction in this regard between the two - i.e. ‘the Word of Allah’ and ‘the utterance of the prophet’ – since they are one and the same. This is why Allah says in the Qur’an “follow the prophet” in order that we should follow the Qur’an and practice the teachings of the Qur’an. However, the Qur’an warns us that if the prophet were to utter anything of his own, in his own words, and incorporate it into the Qur’an then he would be severely punished and no one would be able to save him. We must clearly understand that to follow the prophet, as stated in the Qur’an, implies to follow what was inspired in him through revelations. This does not mean following what has been written regarding his sayings and practices by fallible people some 250 years later, and primarily collected by word of mouth. This literature, called the Hadiths, is full of contradictions with the Qur’an and that in itself is the proof that it has nothing to do with the prophet. We should never overlook the fact that, had the prophet been so keen on the importance of his own sayings he would have arranged to have these written down during his lifetime. At the very least his immediate companions would have done so had they been aware of such an intention. However, neither did so. The Qur’an declares that those who follow and practice the guidance given in the Qur’an will be called ‘Muslims’, which means those who submit to the Will of Allah, as given in the Qur’an; and their way of life is called ‘Islam’ meaning ‘peace’, i.e. living in full harmony with people of the world and also with the environment. The words ‘Islam’ and ‘Muslim’, therefore, have NO sectarian connotation and will always remain universal in their implications. The Qur’an says very clearly that the names Islam and Muslim originated from the time of Prophet Ibrahim (Abraham) who was given the title of the Leader of Mankind. The Qur’an names many other prophets, including Musa (Moses) and Isa (Jesus), who came after Ibrahim (Abraham), and the last prophet named is Prophet Muhammad, and as there would be no other prophet after him, he is also known as the Seal of the Prophets. The universal message given by Allah is the Qur’an, and as far as the believers are concerned, it is their duty to pass the message i.e. the Qur’an, to others (3:187). The Qur’an states however that there must be no compulsion in its implementation, and acceptance or rejection of the Qur’an must be based on free will. This is why the Qur’an classifies people into two groups: (i) ‘The believers’ (mumins) who submit to the guidance given in the Qur’an, and (ii) ‘the non-believers’ (kafirs) who do not regard the Qur’an as the Word of Allah and hence do not follow its guidance. Yet the door is always open to a kafir for becoming a believer. The Qur’an also asserts very strongly that the revelation that was given to Prophet Muhammad is nothing new as the same book (Al-Kitab) was given to all the prophets. But because of human interference, all other existing books containing the Word of Allah got mixed up with the words of the prophets and of others, and this is why The Qur’an came as the last revelation, intact with the Word of Allah alone. The main teachings given to the previous prophets are fully preserved in the Qur’an as the Qur’an says that the same universal message was given to all the prophets. One point must be clearly understood: the beauty (and unique reliability) of the Qur’an lies in the fact that in the case of any conflict or confusion arising from a translation of the Qur’an, one can always go back to the original Arabic words to check the validity of the translation. This is not possible with any other book of “religion” as the ‘originals’ of these books do not exist. Regrettably, there have been many mistranslations of Qur’anic verses. 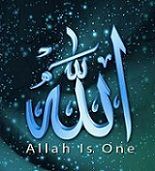 Finally, the reader is asked to bear in mind that in many verses of the Qur’an the ‘royal We’ is used; that is, Allah refers to Himself in the plural (We, Our, Ours). As in the case of royalty, this usage carries a singular sense, with added dignity befitting royal personages. In the Qur’anic context its usage is the same, indicating that Allah is not a person in our accepted, conventional sense. Great introduction, beautifully written. Made my day! Found some time to read this article...This writing superb! Alhamdulillah. All the important points, well written - a great introduction. Thanks sister Zeynab for writing this and sharing it with us all, really do appreciate it May Allah reward your efforts.